It is ingrained in cats to stalk, hunt & pounce. When they don't ​​exercise they can ​get cranky and do things like meow all night long! ​Exercise is especially important for indoor cats​. Given this, it is important for you ​to ensure your cat ​gets plenty of healthy exercise! To help you ​I've compiled a list of cat toys for indoor cats and ​added ​details on why it is important to play with your cat. ​What About a Feline Friend? ​The only item I’d note is to keep a general eye on your cat while they’re playing with these. They can easily get under places like the stove and can be a pain to get out. Just remember they’re only useful on a hardwood or tile floor. See my full video review below or check out my full written review here. ​The only thing I’d note with a laser pointer is to ensure you finish your play session with something your cat can get a hold of physically. 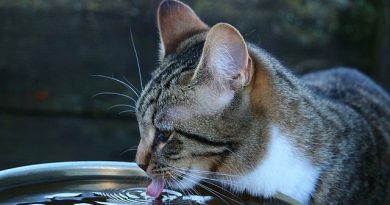 This gives your cat a chance to actually feel success in their hunt and will improve their satisfaction. You could finish with a wand or any stuffed toy or ball. The Turbo Scratcher is a combination scratcher and toy, two birds with one stone! While this is often rated as one of the best toys for kittens it is a great toy for adult cats as well! The ball is locked into a track so your cat can bat it with her paws or push it with her nose and if she feels the need to scratch she has a scratching pad right there! Talk about convenient, what else could a cat need? ​This toy is particularly awesome for kittens, but adult cats love it too. Once of the greatest benefits here is that the toy is totally hands off once you set it up for the first time and there’s really not reason you can’t just leave it out all the time (unless your cats like to play while you sleep). ​If you’ve kept up with my site you know that I absolutely love the Petlinks Mystery Motion cat toy. The Mystery Motion is mostly focused on spinning a set of feathers around under a mat to entice your cat to pounce on it. ​One of the easiest and most simple toys I’ve ever seen, it is a pretty straight forward plastic spring. The true fun in this toy comes from the fact that your cat will start batting it around a little bit and then can’t stop chasing it all over the place. I never would have thought cats would love them so much! ​You can also read my comprehensive review of the Rainbow Cat Charmer here which is a similar wand toy from the same company. They are both excellent products! ​Honestly, at this price, how could you go wrong getting 20 different assorted cat toys? You’ve got all sorts of balls and stuffed toys in here, any cat would go completely nuts over this combination! ​Looking for an even lazier way to entertain your cats than sitting in a recliner with traditional laser pointer like I do? You’ve found it, and it is amazing. This is one of the best cat toys for lonely cats because it can entertain them while you’re not around! ​The ​Tower of Tracks is a multistage track and ball type toy for cats. The balls are locked into the tracks on each level and the cat can bat them around, but they will not fall out of the tracks and end up rolling under the couch or something. ​This particular item is a combination of a toy and a feeder. If you’ve got a cat that is either a bit of a vacuum or a cat that simply eats too much without moving then this is the toy for you. ​Hexbug is a really cool company in my opinion, they’ve come up with a bunch of automated cat toys that basically let your cat get a great workout without requiring a human to be 100% involved. ​While my cats love to scratch my rug, I never thought I’d end up buying a rug that was purposely made to be scratched up and used as a cat toy. This is probably one of the most entertaining cat toys on the market due to its simple but mass appeal! ​The Trixi Pet Five in One Game Board is pretty unique in its design in the marketplace. This is definitely one of the most mentally stimulating cat toys out there. Anyone remotely familiar with cats knows that they love a place they can hide and keep an eye on the rest of the room. While this is typically up high, they’re often happy to take the low ground if they feel the location gives them a good place to watch from. ​Smarty Cat Fish Flops are a fun and simple little toy. They are fish shaped cloth toys (maybe burlap?) that have crinkle paper inside them as well as a dose of catnip to get your cat interested the first time. The only real drag about these toys is that you can’t refill them with catnip, but that problem is easily solved by catnip spray. Just give them a quick spray and they are good as new! ​If your cat is a fan of feather wands, or wands in general, this is a great option. Most wand toys only come with the single end included that has a couple of feathers, not only does it get beat up or destroyed quickly, but they rarely sell the ends on their own. This treat maze is a wonderful cardboard contraption that basically allows you to hide treats inside it and make your cat really work for their snacks! It has three built in difficulty levels for different levels of curiosity and it will keep your cat well entertained for long periods of time! Just drop a few treats or a catnip covered toy inside and let them go to town! ​Whether you’ve got a tiny kitten or an elderly cat, toys provide a fun way to get your fur ball exercising and engaging with you. It is always a riot to watch them chase after their favorite toy, pounce on it, then settle down for a quick grooming session before zonking out for a few hours! The Natural Pet Company wants your cat to do exactly this and they make this awesome collection of toys to enable exactly that. Why Should You Play With Your Cat? Bonding Time: The more you play with your cat the more your cat will come to associate your presence with good things. 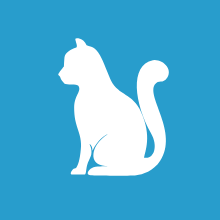 This means your cat will come to adore you and want to spend more time with you. 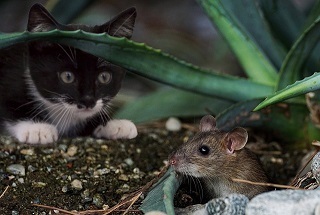 Natural Instincts: Cats naturally want to hunt, stalk and pounce. Giving them a chance to play and do these things is great for exercising their natural instincts. Doing this at a time of day that you choose is far better than your cat deciding to do it at 3 AM while you're trying to sleep! Health Related: Just like us humans, exercising decreases overall stress and gives your cat a chance to focus on something. Not only is this great for producing endorphins (yes, cats have them too!) but it also helps them keep their weight down. A healthy weight helps deter health problems in general. 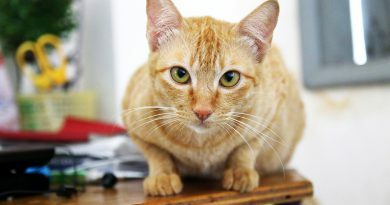 If you're not sure of the best way to play with your cat you can check out this article for a few great ways to play with your feline friend! Age: Definitely take into the account the age of your cat. 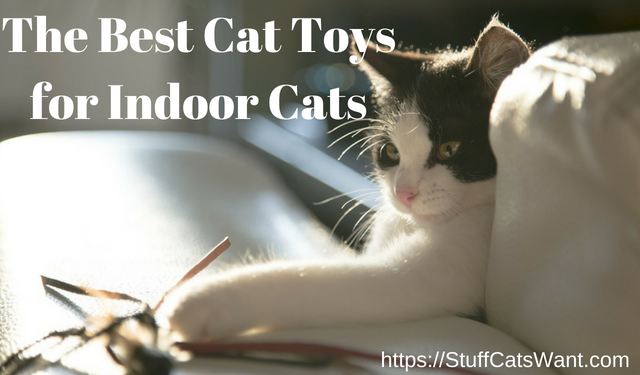 Cat toys for indoor cats or cats in general are often age agnostic, but some of them are definitely more appropriate for kittens or adults than others. You should also take age into account when deciding how often and for how long to play with your cat. No surprise, but the older your cat gets the less likely they are to spend time playing. Variety: Remember that cats will get bored of the same toy if you use it over and over constantly, this is true for pretty much any toy. Having a variety of toys and rotating them in and out really helps maintain interest since cats are finicky little beasts! Definitely remember to hide some toys from time to time and keep them guessing. What About a Feline Friend? One other item definitely worth considering outside the realm of toys is whether or not you should consider adopting a feline friend for your existing cat. Now obviously if you already know your cat is a one and only then do your best to focus on ensuring he or she gets lots of fun play sessions. On the other hand if you're open to another feline shelters are bursting at the seams with cats that need a happy home and many cats love having a friend to play with. Not only will it encourage them to get exercise and keep them fit, but they'll also be less likely to cause mischief around the house when you're not around because they can play and wrestle together. Ensure any cat you consider is spayed or neutered! The last thing the world needs is more kittens. No matter how darn cut they are! Make sure you adopt an age appropriate cat. A kitten isn't a great idea for your 14 year old cat! Demeanor is important to consider as well. If your 1 year old cat is super lazy and likes to sleep then adopting a wildly energetic 1 year old cat as a friend might not be the best idea. Be sure to discuss options with the shelter you visit as most shelters have in depth information on cats through their foster programs. The market is loaded with an immeasurable number of cat toys these days. It seems like every time I look online or walk into Petco I find some new contraption. Keep in mind that cats often get just as much entertainment out of cheap simple toys as they do out of expensive ones. Don't be afraid to experiment and see what works for your cat! That's where some of the combo or large packages of toys can really come in handy. If you have any toys you love that I totally missed then please please leave a comment below or send me an email at Craig@StuffCatsWant.com so I can update this article. This is an awesome list. My cat especially loves the laser. It would entertain her for hours. These are some awesome kitty Christmas present ideas. Thanks for posting! The holidays are coming up! And these days it seems we spend as much $$ on our cats as we do on ourselves. Merry Christmas! Hi Craig, what a fantastic post this is. I had no idea there are so many toys available for cats. I’ve always been aware of a plentiful range of dog toys, but not of toys for cats. I feel now that I’ve neglected my cat in respect to play. Also, I have not been familiar with ‘the zoomies’ in terms of what it means, but I certainly experience ‘the zoomies’ when my 17 year old cat runs madly though the house, sounding like a herd of elephants, and making the most horrific meow sounds. I don’t know how she manages to sound so loud when she runs as she is very light in weight. She does this often at night time, or early in the morning. From reading your post I now know what the problem is and how to deal with it. In saying that, I’m not sure my17 year old cat will be particularly interested in toys. But I like the look of the Bergen Turbo Scratcher, and I’m sure it would be worth getting one for her to try. I can always give it away if she doesn’t use it. Wow! 17 years old, quite a feat already. Yeah, toys could be tough depending on her personality, but she sounds like she still has lots of energy. Are there any of your household objects that she loves to play with? how do you like the frolicat in place of a manual laser pointer? If I could only afford one I’d go with a manual laser pointer personally. While the Frolicat is fun it is kind of bulky for you to carry around during your play sessions where you are involved. A traditional laser pointer will be a lot easier, and the batteries are much cheaper/easier to replace in most small laser pointers. It’s clearly I can see that you are cat lover and good knowledge about behavior and habits of cat. It is really good for people who has already pet as cat and really want to keep them happily and safe. I certainly do love my feline friends! It is hard not to. Thanks for reading! Hey Craig, cool list of cat toys. My cat has a few of these already and he loves them. The one I think is the coolest is the Game Board. Makes it super interesting to see your cat solve puzzles to get their treat! My cat also had the wand which is highly recommended. I’ve seen him get some pretty good air jumping in an attempt to capture the prey at the end of the wand. Super cool. Yeah, my cats Beast and Lexi love to jump for the wand toy. They are surprisingly good at catching it right out of the air, I’m always impressed! As for the activity centers, they are a great way to distract your cat for a good period of time. Especially if you want some hands off time and you have a food motivated cat! The turbo scratcher looks like it would be a good kitten toy, do adults use it too though? I only have an adult cat and don’t want to buy it if it is a kitten toy. Great question. My experience is that kittens go absolutely bonkers for the turbo scratcher and that adult cats are interested, but not on the same level. Many adult cats at the shelter I volunteer at will bat the ball around for a minute or two before moving on. Kittens on the other hand are enamored with it for a solid half hour. What are your thoughts on the laser pointer? I’d think it’s probably one of the more popular toys. 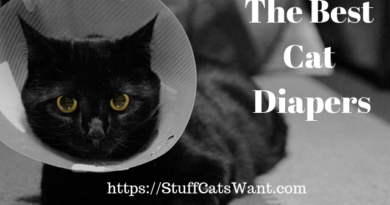 Great post…a must read for all cat lovers! Laser pointers are awesome toys for cats, it honestly don’t get much easier. The only thing I don’t like about laser pointers is your cat never really gets to ‘get’ the toy. There’s no closure. So I like to play with laser pointers but then close out with a string or a wand toy. My cats are so lazy, I need this lazer pointer foe sure! The automated laser pointer is pretty cool, but if your cats are lazy I’d forewarn you that they may be extra lazy with this. It does tend to have some randomness, but it also has some recurring patterns. Once cats get used to those they tend to just stop playing with it…You might need to include a human hand to really get them going! Wow, I love all of these unique toys that you’ve found! There’s definitely a few I want to try on my cat, especially the ones that involve working to find the food. The rug toy is an awesome idea, as well. My cat seems to have a fetish for rugs, and sometimes even tries to eat them. Is the Ripple Rug pretty durable to not fall apart if my cat tries to eat it? The Ripple Rug was specifically designed to stand up to lots and lots of cat abuse. If your cat has a vendetta against it then it will eventually show some wear and tear, but it will hold up extremely well to your typical cat claws and gnaws. That is a perfect list of cat toys. My cats get the zoomies a few times a day, and sometimes in the middle of the night across our bed. So we try to play with them at scheduled times during the day so they sleep through the night as much as possible. The top favorites are the laser pointer, of course, and the feather on a string. They also have a few of these other toys, but definitely missing some good ones. Thanks for putting them in one easy place to find. This is really a fantastic list of cat toys. I love watching cats play, especially kittens! They are so cute when they chase the laser around. I bet several of these would be entertaining for a long time! Thank you so much for taking the time to put this extensive list together! That is one of the best cat toys reviews I have ever found. It actually covers most of the cat’s activities and definitely will keep your fur friend quite occupied from your furniture. I am a happy owner of Hexbug Nano Nitro Cat Toy and my cat loves it! Well, at first it freaks her out a little bit but then she was occupied for the most of the day. My kitty also loves laser pointers, it is definitely the must to have for kittens! We also had similar scratcher but it did not go well with our kitten as she could not figure out the difference between it and our carpet. So we just ended up with the scratcher tree. No matter how many times I put out the hexbugs my cats are both afraid or intrigued by them for the first few minutes before they realize ‘oh yeah! they are toys!’ It cracks me up. But so long as I don’t use them every single day they keep coming back and playing with them. They are awesome toys, especially with the super easy to change batteries. Very insightful post! Some of these toys are even good for dogs—we have a laser pointer and the interactive toy & dispenser. Unfortunately, one of my dogs isn’t really smart enough to figure out. She just follows the other dog around when he’s playing with it in hopes of getting a missed treat. Looks like you love your cats just as much as I love my dogs–who, by the way, get the “zoomies” themselves. Hahaha, too funny. My cat Beast isn’t a huge foodie, but my cat Lexi absolutely loves treats. When I toss treats Beast runs from them then Lexi jumps in and snaps them up. Too funny! This stray kitten showed up at my house just before Christmas. I tried to find her a home but my home is now her permanent home. She is incredibly high energy and enjoys torturing me and my 15 year old male cat so I was looking for toys that she could self entertain with. She loves this toy and spends hours a day playing with it morning, noon and night. I didn’t attach a picture but the picture in the ad is representative of the toy and ironically the kitten in the ad looks exactly like my cat who’s nickname is “spawn of satan”. Well, kittens in general tend to have quite the energy supply and they are wildly curious. They don’t tend to be the best combination for a 15 year old or in my opinion, any sane human haha! They are a ton of fun and they are oh so cute, but more often than not it’d be far easier to only deal with them in small doses. I do hope the toys here work, you may also want to take a look at my article on kitten teething toys as it is possible your kitten is going through teething and thus looking for practically anything to chew on. Good luck! And I hope your little spawn of satan quickly turns into an adorable adult fluffball! Bird feeder near an easily accessed window. Yes, I do this for both Lexi and Beast. We have a plastic see through feeder right outside of their window bed. They LOVE it!